What if the Seneca Lake in the Finger Lakes region of New York State could gain rights recognition? With rivers gaining legal rights throughout the world, legal rights for lakes may become the next great rights-based movement. The Finger Lakes are known both for their beauty and some of the local industries that thrive in its unique microclimate, including winemakers and farmers. Seneca Lake, the second longest of the Finger Lakes, provides drinking water for over 100,000 people. Seneca Lake is about two million years old, when glaciers up to two miles wide carved out the lake through a series of massive advances and retreats. [ii] Originally, it was part of a group of north-flowing rivers, but eventually formed into a standalone lake. Seneca Lake supports diverse aquatic species. This include coldwater fish such as trout and Atlantic salmon in the deeper waters and smallmouth bass and yellow perch in the shallower waters. The Great Law of Peace represents one of the earliest examples of formal democratic governance and thought to be an inspiration for the American Constitution. It is the oldest governmental institution still maintaining its original form in North America. [v] The five founding nations were the Mohawk, the Oneida, the Onondaga, the Cayuga and the Seneca. The “Six Nations” formed in 1722 after the Tuscarora joined the confederation. To give another example, a 2017 report showed an increase in phosphorus levels and bacterial contaminants in streams that flow into Seneca Lake. Of those give streams tested, five had phosphorous and/or bacteria levels beyond the limits set by the New York State Department of Environmental Conservation’s (DEC), as revealed in the study by the Seneca Lake Pure Waters Association (SLPWA) and the Community Science Institute (CSI). A significant threat to Lake Seneca arose from the planned construction of a methane gas storage tank right next to the Lake. Federal regulators had approved its construction despite warnings from experts on geological risk. [xiii] Wine, tourism, and environmental groups, amongst others, teamed up to stop this dangerous project. In the face of local community activism, Arlington Storage Company, a subsidiary of Crestwood Midstream, finally abandoned its plan to expand natural gas storage in unlined salt caverns on the west shore of Seneca Lake in Schuyler County after a six-year battle with local activists. “This is a victory for the people of the region who have fought for years to protect Seneca Lake and the Finger Lakes from industrialized gas storage,” said Yvonne Taylor, vice president of Gas Free Seneca. Deborah Goldberg, an attorney with Earthjustice, has been representing Gas Free Seneca in its fight. Pollution in Seneca Lake presents a severe public health hazard and a danger to wildlife. Securing legal recognition for Seneca Lake’s rights could benefit humans and nonhumans alike. 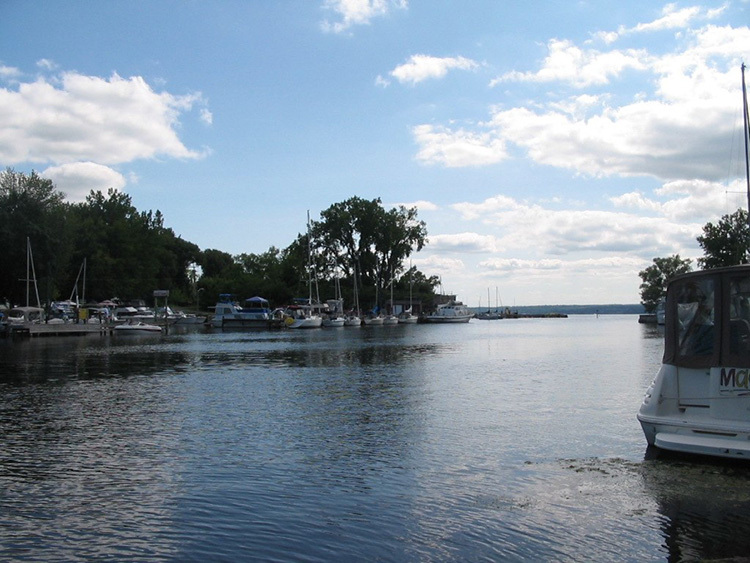 Seneca Lake faces threats from bacteria, algae, chemical spills and excessive salinity. Local environmentalists have done significant work over the last few years to raise awareness of the lake’s problems and look for solutions. However, these challenges will continue so long as we operate in the same flawed paradigm of treating nature – including our lakes – as property to be exploited for profit. This flawed mindset, deeply embedded in our legal and economic systems, fails to treat nature as the life-giving and rights-bearing entity that it is. Legal recognition of Seneca Lake’s rights to thrive, evolve, and perform its natural functions would address the pollution issue by strengthening existing protections and putting the burden of proof on would-be-polluters. And rather than being able to degrade Seneca Lake for short-term economic interests, its rights to health would be guaranteed. These rights would be enforced by legal guardians who would represent the lake in the courts. Finally, anyone who harms Seneca Lake would have to make the reparations necessary to return the lake to health. What is Earth Law and how could it help Seneca Lake? ELC is laying the groundwork for a significant shift in how the law addresses questions of natural protections and environmental integrity. Changes that recognize the inherent rights of species and ecosystems will create more effective and durable mechanisms for protecting the natural world. Beginning with one lake or river and extending locally creates both community commitment to the environment and governmental protections that span jurisdictions and support a cleaner and healthier environment. Victories at the local level also build interest and a sense of momentum about our work – as time goes by and more local governments grant rights to local ecosystems, the idea gains in political credibility and a groundswell of support that can translate into motion at the state and ultimately federal levels. Work in the U.S. as well as other countries does not happen in isolation: victories anywhere help build international norms, and the political will for collective solutions to global problems. Four rivers now enjoy rights recognition: the Whanganui River in New Zealand, the Atrato River in Colombia, the Villacabamba River in Ecuador and now the Amazon in Colombia. Which four lakes will be the first to have legal rights? It could be one of the Finger Lakes. Or, if you are interested in giving legal rights to a lake that you work to protect, please get in touch with Earth Law Center to help. In addition to any of the above, working with local tribes to establish rights for the Finger Lakes through their governance. Seeking to allocate water rights to be held by rivers themselves within the above watersheds. On their website the Seneca Nation advises that in all cases, native people prefer to be described using the name of their nation or tribe. This is better than lumping them all together under a label such as Native American or American Indian.